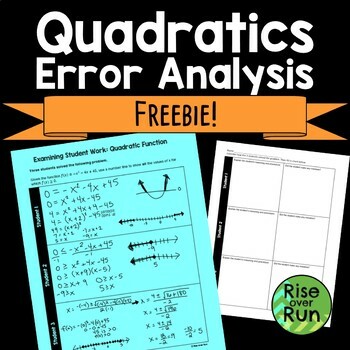 Challenge your students to examine student work in solving a difficult quadratic function problem. 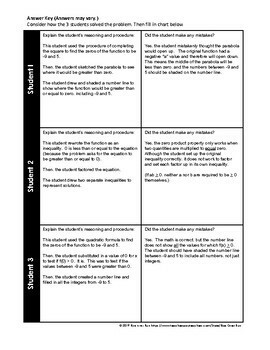 Three student responses are included, along with a chart for students to explain the reasoning and find mistakes. Spoiler: Each one has an error! 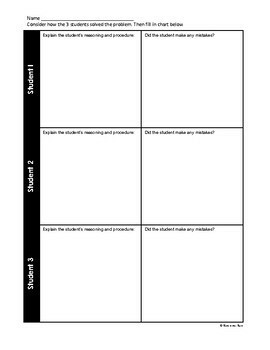 Great way to get students to think deeper and consider multiple methods to solving. 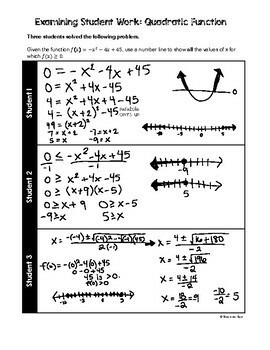 Given the function f(x) = -x^2 - 4x + 45, use a number line to show all the values of x for which f(x) ≥ 0.